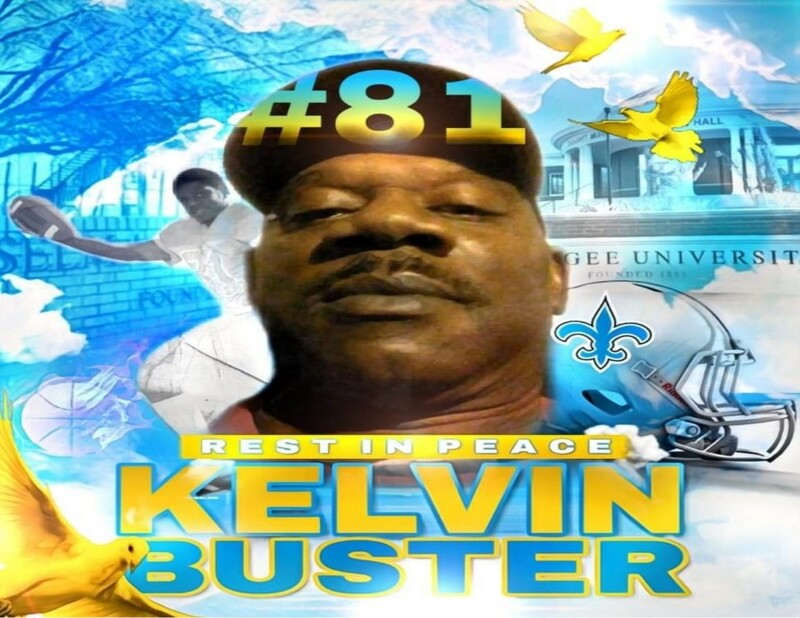 Kelvin K. Buster, 52, transitioned into his heavenly home on Sunday, November 25, 2018, in Birmingham, Alabama. Services will be held on Saturday, December 1, 2018, at 12:00 p.m. at Calvary Missionary Baptist Church. Interment will follow immediately in Hopewell Church Cemetery in Minter, Alabama. Mr. Kelvin Kennth (Dooley-Buck) Buster was born June 6, 1966, to Leatha B. King and the late Feolis Rivers. Mr. Buster confessed Christ at an early age and joined Mt. Hebron Baptist Church. Mr. Buster departed this life on November 25, 2018, in Birmingham, Alabama. Kelvin was preceded in death by his grandmother: Zola Hunter and father: Feolis Rivers. He leaves to cherish his memories: daughters: Kenneatha Buster and Mary Tyus; sisters: Melissa (Woodrow) Dickerson, Pauline King, Rebecca King, Sadie (Terry) Johnson all of Selma, Pearlie Mae Rivers and Tracey Gordon of Atlanta, Georgia; brothers: Nathan (Leola) Rivers and Nathaniel Rivers, Curtis “Cheetah” King; grandmother: Pearlie Mae Rivers; aunts: Patsy (Hilbert) Reese, Joann (Howard) Walker, Hattie Cleveland, Georgia Norris, Aurelia (Eddie) Hill, Mary Gadsden, Martha Gadsden, Rebecca Capers, Geneva Rivers, of Minter, AL, Delois Porter of Selma, AL, Dorothy Milhouse (Wisconsin) and Jackie (Robert) Rivers Atkins; uncles: John (Shirley) Hunter of Selma, AL, Henry (Cynthia) Stanberry of Tampa, FL, Henry (Angela) Hunter of Selma, Alabama, Jimmy Rivers of New York, and Walter (Alma) Gadsden; four special nieces: Chinita (Antoine) Hardy, Corondo Buster, Conretha Buster, Shequaria Buster. A host of other relatives loved ones and friends. Ashley's JH Williams and Sons Funeral Home thanks the Buster family for selecting our firm for the final disposition of their loved one.